i-pad and procreate great to be able to sketch in small places. The ability to rotate the canvas and not really need to spread out. 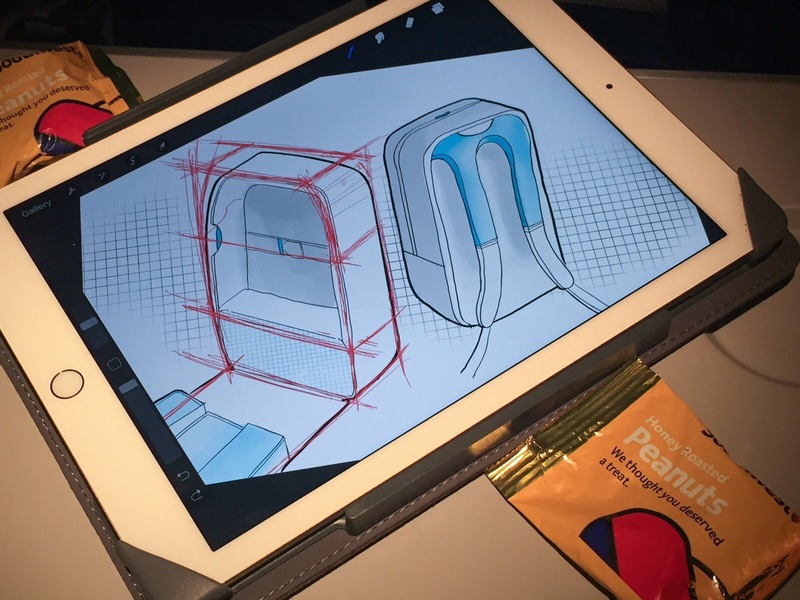 Perfect for designing backpacks on the plane.